With this product, you earn 598 BIG TIME point(s). 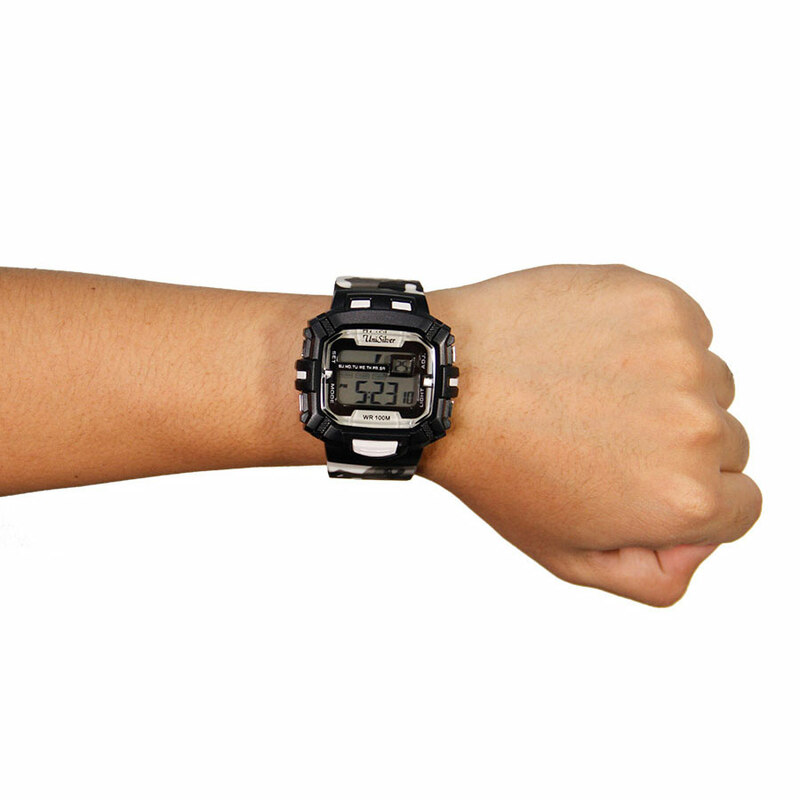 It's impossible to hide with the camouflage-inspired Batallion digital watch. 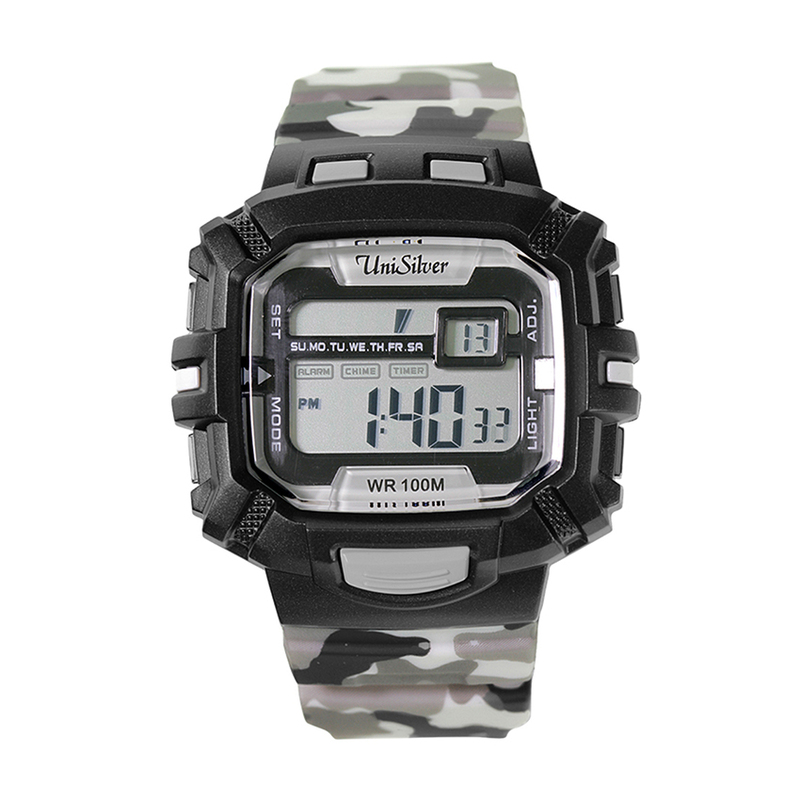 The rectangular casing and the camouflage gray straps are very trendy, giving an extra boost to your casual outfits. It looks great especially with denim attire.